Last week, we talked about Wello, a system for transporting large quantities of water in a rolling barrel, rather than in a container on the top of your head. My guess is, if you're reading this, your water comes out of a tap from every sink in your house. 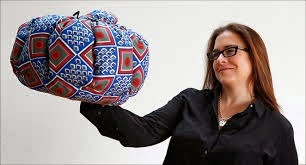 This Feel Good Friday, I want to talk about something that can benefit everyone - the Wonderbag! What's so wonderful about this bag? As explained on their website, "The Wonderbag is a non-electric, heat-retention cooker that allows food that has been brought to a boil, to continue cooking after it has been removed from the fuel source." An old concept, but one that Sarah Collins, modernized to help women in her home country of South Africa. 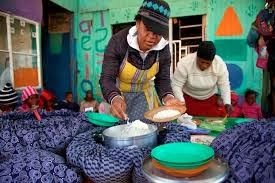 For women using the Wonderbag it means they need less wood, gas or paraffin to cook their meals, saving them time and money gathering fuel and reducing the smoke in their home. Plus, these women spend less time watching their pots boil, giving them more time for childcare and other activities. For you, it means slow cooking a meal and being able to leave the house without worrying you're going to burn it down. The visual and impatient among us will appreciate this video, which gives an excellent summary in less than two minutes. Those of you who like your news a little more in depth can read this recent article from the San Francisco Chronicle. Best of all, for every Wonderbag sold in the US, one is donated to a family in Africa! You can order one on Amazon right now. 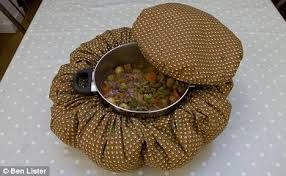 If you're unsure what to cook, you can check the Wonderbag recipe page. All that and a Facebook page too. Will you be the first on your block to own a Wonderbag?